Members of the indigenous community in La Roya, Peru (Photo: Juan Carlos Huayllapuma/CIFOR). REDD+ has potential to exacerbate conflicts over land and abuses of Indigenous Peoples’ rights, unless it is reoriented to promote participation and to strengthen indigenous rights. In a new publication from the Center for International Forestry Research (CIFOR), scientists Juan Pablo Sarmiento Barletti and Anne Larson analyze multiple allegations of abuses of the rights of Indigenous Peoples in the context of readiness and implementation of the Reducing Emissions from Deforestation and forest Degradation (REDD+) mechanism, part of the United Nations Framework Convention on Climate Change’s (UNFCCC). This study reveals that some allegations of rights abuses arise from REDD+ implementation itself, while others emerge from the pre-existing context in which REDD+ is unfolding, and which it may exacerbate. Despite these concerns, the study also highlights the opportunities for a rights-based approach to REDD+. Researchers remind that promoting and strengthening the rights of Indigenous Peoples will contribute to achieve REDD+ targets. “Indigenous and community rights-holders need to be at the center of REDD+ or any successful global climate change solution,” expressed Juan Pablo Sarmiento Barletti, a Seconded Post-Doctoral Fellow at CIFOR. The study suggests eight specific recommendations, concerning three main areas of action: REDD+ safeguards; Free, Prior, and Informed Consent (FPIC); and rights to territory and self-determination. Research shows that the implementation of REDD+ safeguards is affected by each country’s political and socioeconomic priorities and framed within existing legal interpretations of rights. Although payment schemes require clearly defined safeguards and benefit-sharing schemes, these are not being properly implemented by governments or enforced by the international community. Rather than being seen as a tool to discourage negative impacts, REDD+ safeguards must be reframed to recognize the key role of Indigenous Peoples in climate change initiatives and protecting forests, researchers suggest. Most REDD+ projects did not apply Free, Prior, and Informed Consent (FPIC), took decisions prior to community consultation, and purposefully withheld information to manage community expectations, the study notes. The highly technical character of REDD+ is an additional challenge to the participation of Indigenous Peoples, unless there are concerted efforts to build capacity at the grassroots level. Ensuring the consistent participation of indigenous men and women throughout REDD+ processes is imperative, researchers conclude, as well as building capacity and following clear guidelines for FPIC. As for rights to territory and self-determination, the review demonstrates how REDD+ may exacerbate pre-existing land-related tensions. 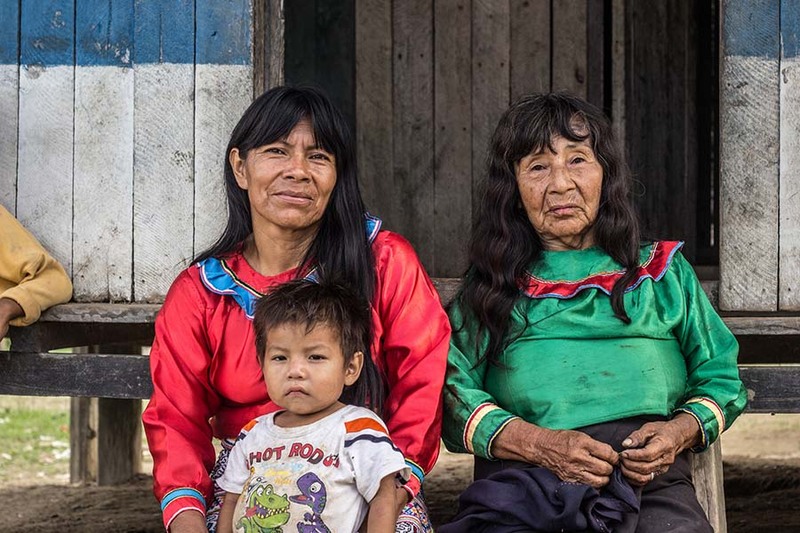 The study observes that REDD+ focuses on tropical forests in countries with weak systems of governance and histories of land tenure conflicts, structural discrimination and violence towards Indigenous Peoples. Sarmiento Barletti and Larson suggest that, whenever REDD+ encounters unfulfilled claims to territory, it should lead efforts to define land tenure titling and formalization initiatives. Researchers conducted a systematic search of scholarly literature looking for allegations of rights violations, as defined under the United Nations Human Rights conventions, the United Nations Declaration of the Rights of Indigenous Peoples (UNDRIP) or the International Labour Organisation’s Covenant 169 (ILO 169). Sarmiento Barletti and Larson found 85 articles detailing allegations in various countries, which are at different stages of REDD+ readiness and implementation. Examples of allegations include abuse of the rights to freedom from forced removal from their lands, participation in the decisions that affect them, or redress for land and resources taken or damaged without consent. Juan Pablo Sarmiento Barletti, Seconded Post-Doctoral Fellow, CIFOR. Anne Larson, Principal Scientist, CIFOR. In Germany: Deanna Ramsay, Global Project Communications Coordinator, CIFOR. d.ramsay@cgiar.org, +62 8111978092 (WhatsApp call). In Indonesia: Rodrigo Ordóñez, Media Outreach, CIFOR. CIFOR advances human well-being, equity and environmental integrity by conducting innovative research, developing partners’ capacity and actively engaging in dialogue with all stakeholders to inform policies and practices that affect forests and people. CIFOR is a CGIAR Research Center, and leads the CGIAR Research Program on Forests, Trees and Agroforestry (FTA). Our headquarters are in Bogor, Indonesia, with offices in Nairobi, Kenya; Yaounde, Cameroon; and Lima, Peru. This research was supported by the Norwegian Agency for Development Cooperation (Norad), the International Climate Initiative (IKI) of the German Federal Ministry for the Environment, Nature Conservation, Building and Nuclear Safety (BMUB), and the CGIAR Research Program on Forests, Trees and Agroforestry (FTA) with financial support from the CGIAR Fund Donors.